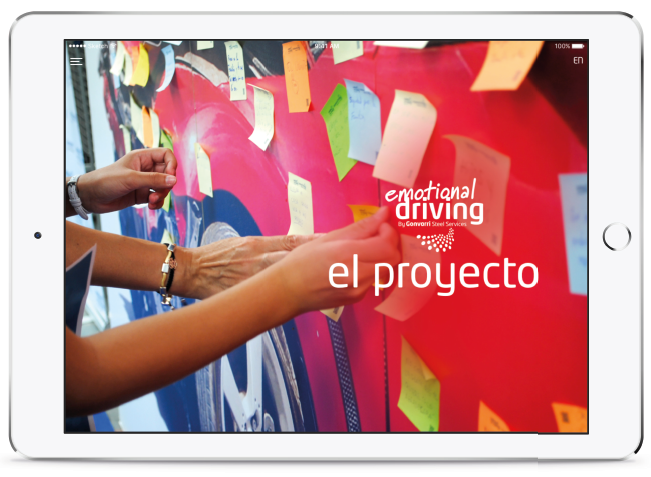 The Emotional Driving Book App is already available for downloading on iOS andAndroid. After the publications of the book and updating its website, we introduce now the mobile app that can be enjoyed in all kind of mobile devices. In the app you will find the content of the book, divided by chapters, and also the video about the project and the links to all the social media channels to share its content quickly and easily. Emotional Driving is the road safety concept created by Gonvarri that motivates us to drive safely. It was created by the end of 2014 and, since then, it hasn’t stop growing. What are waiting to download the app? It is free! To follow all the news about the project, follow us on Facebook, Linkedin & Twitter.